My trip is coming up fast -- 14 days, fast! I'm still in practice mode, switching focus from the kayak to the camera. To start this phase, I enrolled in Travel Photography & Storytelling with Bob Krist put on by National Geographic at the San Francisco Art Institute (not to be confused with the more generic Art Institutes). This was a four-hour, indoor, no-window lecture session where he simply talked about photography. This event could have been totally boring, but it was an absolute joy. Bob was hilarious! I learned the basics of what kind of pictures and themes make up the best kind of stories -- all drawing from cinema. The lecture was designed to help transform my travel photography from “first I did this and then I did that...” to a narrative that says something about me and my journey. He shared tips on how to step away from the expected and the linear and focus on finding the thread that brings it all together. I can’t wait to put this into practice! Next, I wanted to get out in the field and learn more technical aspects of photography, so I joined a landscape photography workshop in Big Sur, hosted by the Aperture Academy. 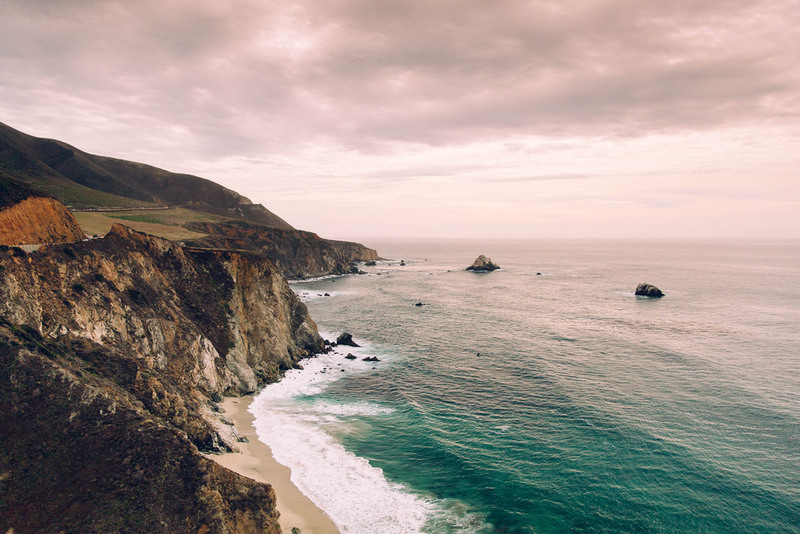 We drove from iconic location to the next, photographing the gorgeous California coast. I let go of my Av crutch and embraced manual mode, learned how to use ND graduated filters, and got even more comfortable with polarizers, tripods and all the gear that makes landscape shots shine. What a blast! All that’s left is to pack… repack… and do it again a few more times, and then I’ll be on my way.